The story behind the project of House for Hope – the inspiration that initiated the project, how it evolved and how it visions to change the world! Evdokia was born in England in 1993 but grew up in a small village in Cyprus, called Khirokitia. In 2016, she graduated from the University of Nicosia with a Professional Diploma in Architecture. After her graduation she moved to Athens for a year through the Erasmus+ Program and worked as an intern at an architectural office. Her stay in Athens was a waking up call for her to look around, step out her comfort zone and realize what is going on in society. She accepted the fact that we are also part of the problem since we can see people suffering but we are not trying to do something to change it. 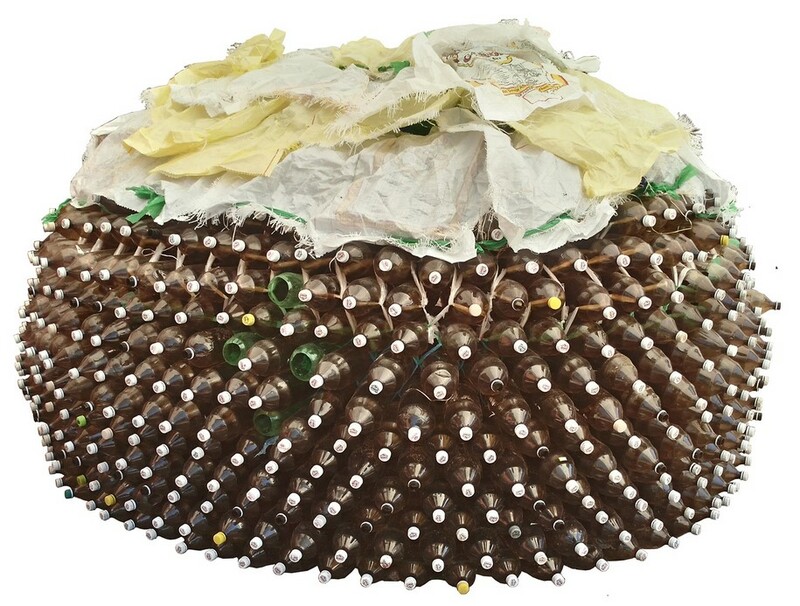 The aim of the project is to help homeless people but also bring awareness to social and environmental issues, such as the plastic waste crisis. Having a safe and warm place to sleep is a human right, nobody deserves to sleep on the streets. The challenge of the project was to find a way to build small structures that have no cost. The materials need to be easily accessible and the construction of the temporary shelters easy to teach and learn. 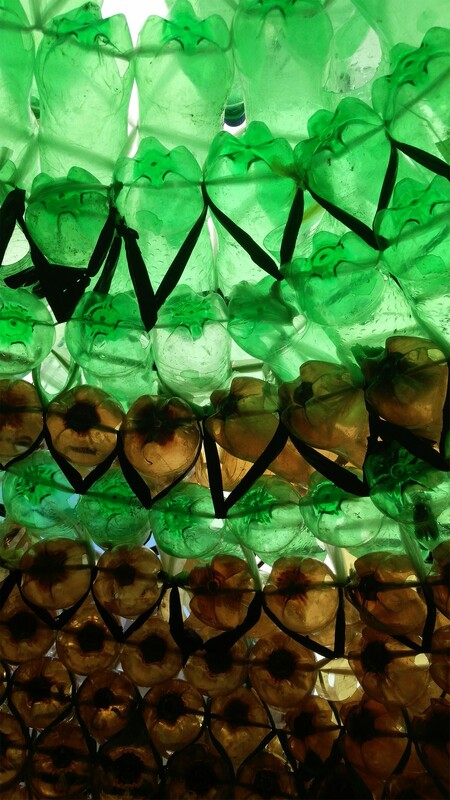 The technique used was a combination of stacking plastic bottles and weaving them with strips out of plastic bags. 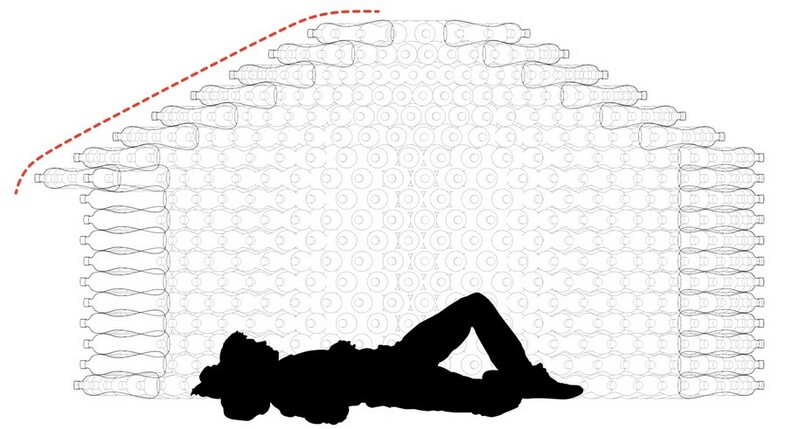 The building technique can become a learning process for the homeless people since the project aims to show them a creative way of helping themselves. Each person can take the structure and adjust it based on their needs by adding materials on the roof, on the floor or even by adding more rooms. This structure is just the beginning of what it can be! 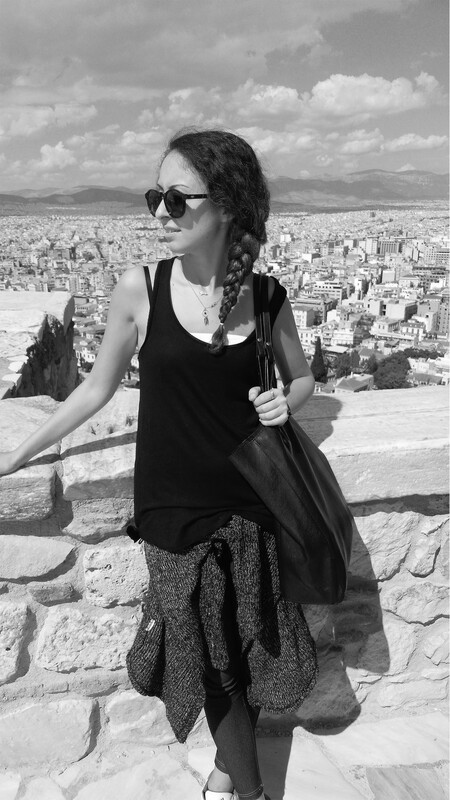 While the project had already started in Greece, Evdokia met people along the way who got inspired with her project and wanted to be part of it. Marios Nikolettis, the owner of MOI Content has been concerned about homelessness for years since he grew up and currently lives with his family in South Africa. He found the opportunity to invite Evdokia to Johannesburg and help her work on the prototype of the structure she had already started in Athens. In October 2017 Evdokia travelled to Johannesburg where for three months she worked on the structure in order to finalize the design. The project was named ‘House for Hope’, since the aim is to give hope to all homeless people that a house can be easily build by themselves with materials they have access to and with a technique that is easy to learn. MOI Content provided her with the necessary space and amount of bottles she needed to build the structure. The project was about the homeless people in Johannesburg, so many interviews took place by the locals of a small poor community. 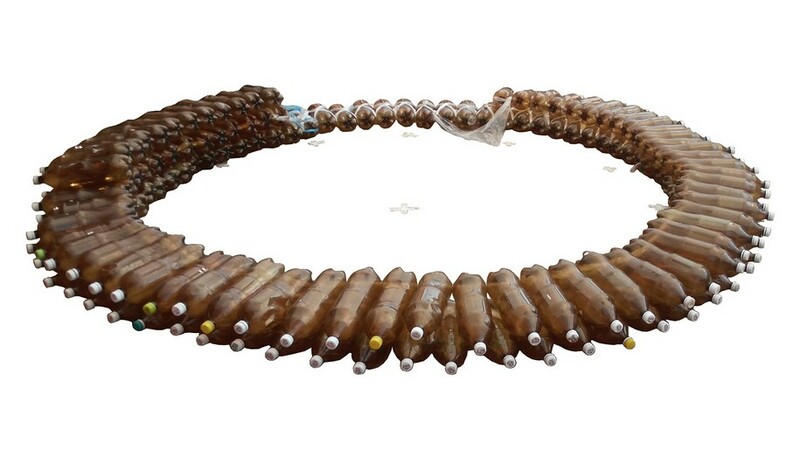 The first row of bottles are placed on the ground in a circular shape. 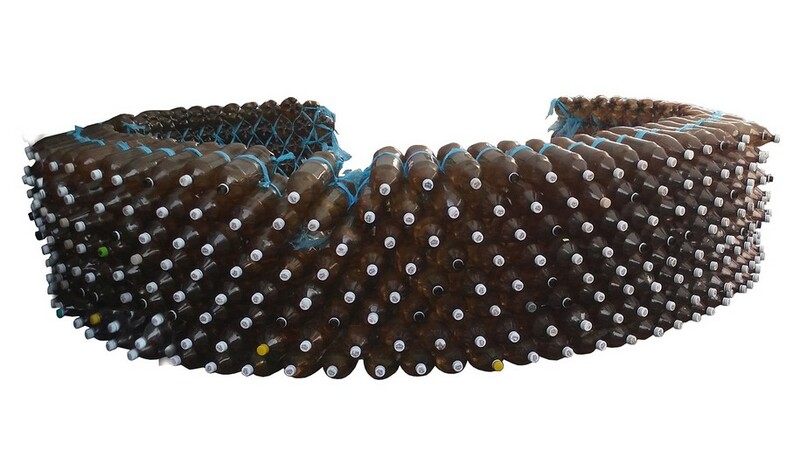 Each bottle has 2 pair of holes, one at the bottom and one further up. 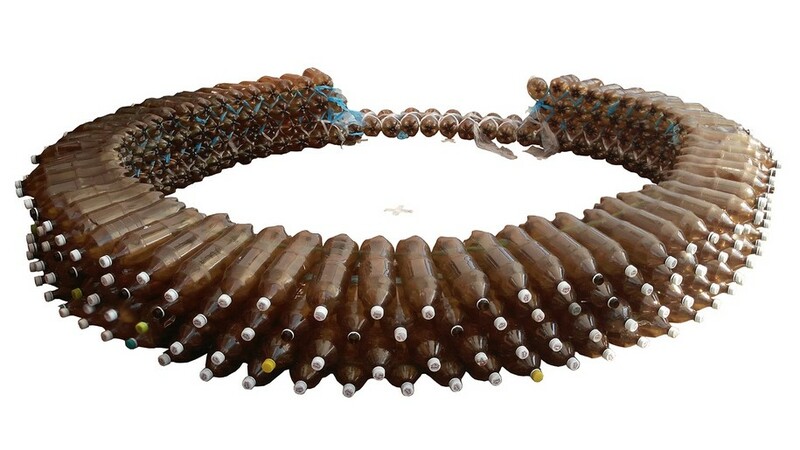 Through these openings, the plastic strips weave the bottles together. 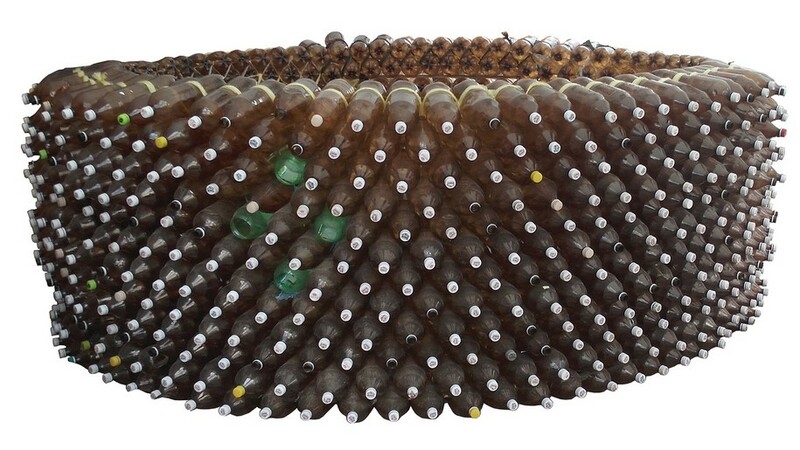 The door is created by leaving a small triangular void while adding rows of plastic bottles. 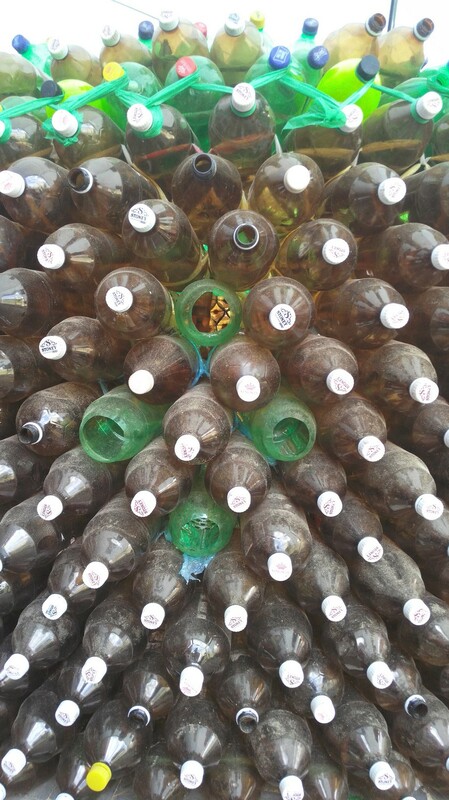 During the weaving, some bottles are removed in order to create small openings for air to ventilate and cool down the space. 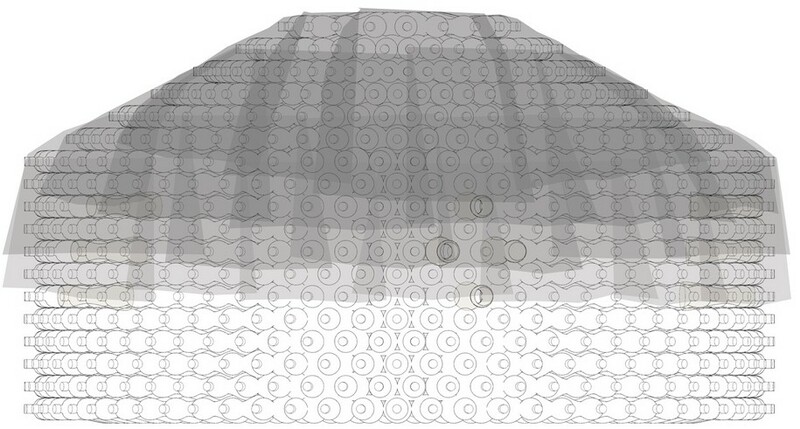 The roof is formed by gradually bringing the rows inwards to create an enclosure by using a very similar weaving pattern. The exterior is covered by a protection layer that can be made out of any waterproof material accessible to the person building it. 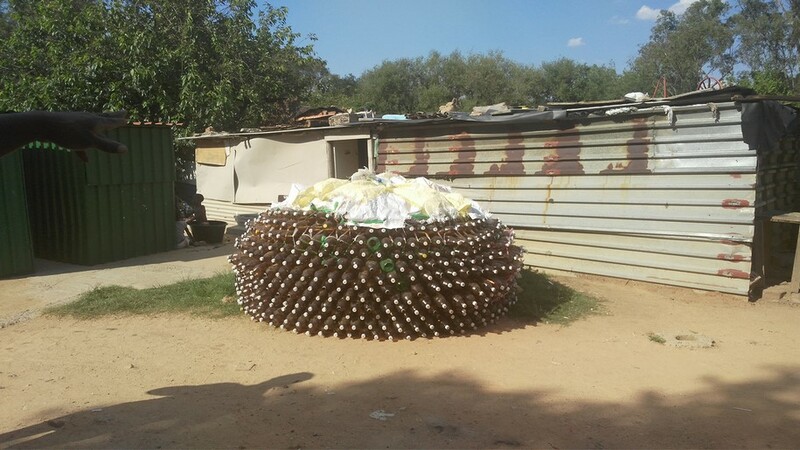 The prototype in South Africa was made out of approximately 1200 bottles, had a 2m diameter and 1.5m height. It is spacious enough for two people and a child to sleep in. 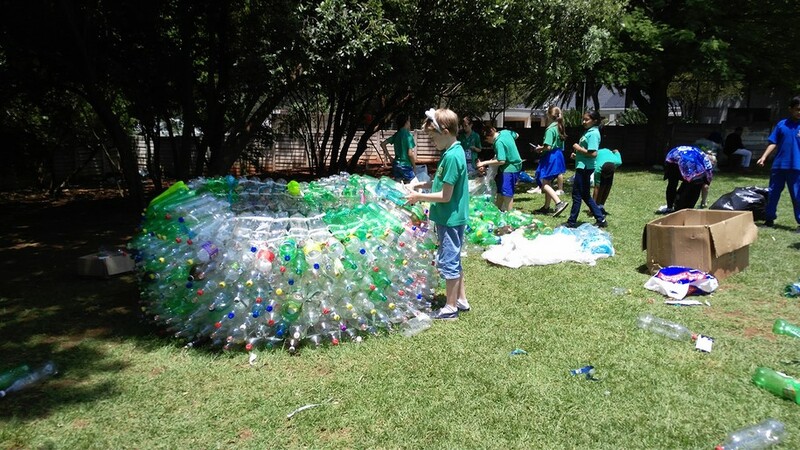 Nevertheless, the structure’s size is flexible and can be build wider, higher or smaller depending on the needs of each person and the available number of plastic bottles. A workshop took place were children had the opportunity to learn the technique of the structure while building one in the school yard. The children worked hard and enjoyed the process! The final shelter was donated to a homeless person. The vision is to set up an NGO and gather a group of volunteers that will travel to different countries and build as many as possible structures for the homeless people. 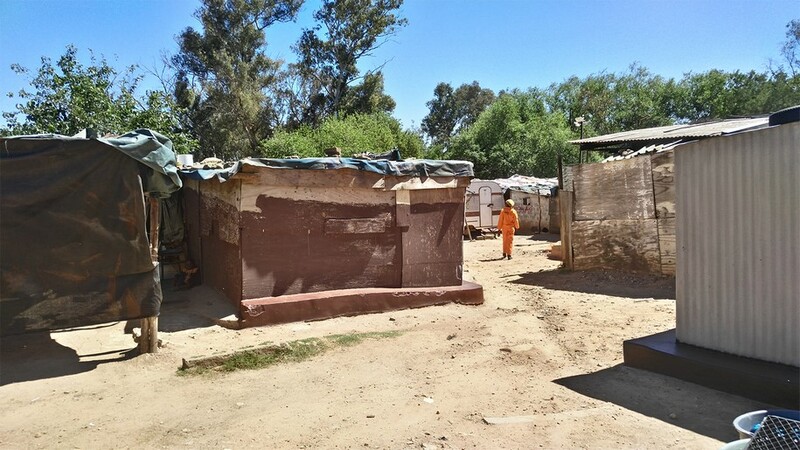 The structures are temporary solutions that can help them get through winter until funds are enough to help them with more permanent houses. I hope this projects manages to expand and go worldwide so nobody will sleep on the streets and everybody will have a home.